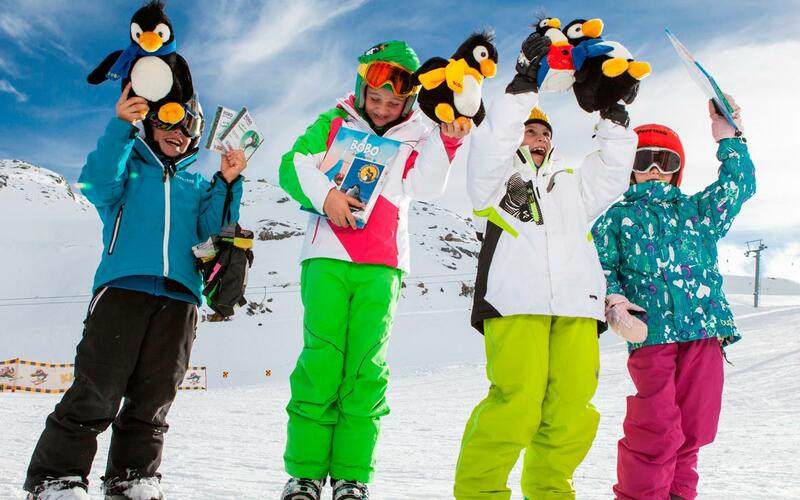 Ski courses designed for the youngest of guests and an in-house kids’ and youth programme are the ingredients for the perfect family holiday in Austria: Kids are able to stay entertained while parents have a chance to fully relax. Enjoy time alone together, some Austrian delicacies, or simply take a small break from being Mom and Dad. Thanks to the Family Euro family programme, both little and big kids will never be bored at the Hotel and Spa Pulverer! The kids’ playroom in the central area of the hotel makes every child’s heart beat faster. Pulverer, a hotel for mini gourmands: During the high season, kids have the chance to enjoy a special kids’ buffet when signed up for the Pulverer half-board. So that the sandman isn’t under a time crunch, food for kids is available each evening from 6:00 pm. There is also a nanny available to help with kids who can’t seem to fall asleep during the high season. 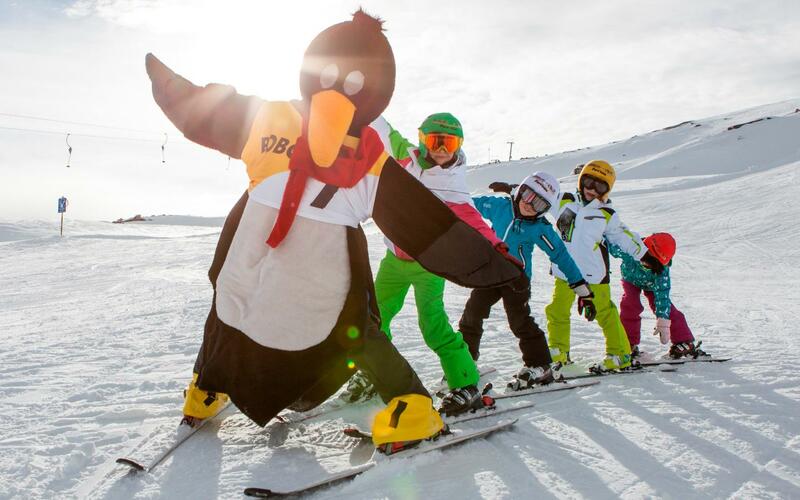 On request, the Hotel and Spa Pulverer will gladly book kid-friendly ski courses for you. Simply provide any additional special requests when sending your non-binding booking enquiry and the team members at your family hotel in Bad Kleinkirchheim will give you current prices and conditions in the same offer as your hotel booking. Snowboarder Teens - Take Note! Together with Bad Kleinkirchheim’s coolest teen ski guides, every Tuesday you can head to the new fun park with its exciting set up at Priedröf! Rails and jumps are waiting to be tried. Of course, you can also enjoy the slopes of Bad Kleinkirchheim under the watchful eye of experienced pros from Carinthian snowboard schools. Parents can then have a leisurely afternoon to themselves in this beautiful mountain landscape. More information about this amazing experience can be found at the Hotel Pulverer’s reception desk. Tobogganing, skiing, horse drawn carriage rides, ski courses designed for kids and a varied youth and kids’ programme – a winter holiday with the Pulverer Family in Bad Kleinkirchheim is anything but boring! Bad Kleinkirchheim is the perfect destination for your winter holiday for the entire family. The diverse offers for families at the Hotel Pulverer provide for rejuvenation, fun and excitement for family members young and old. 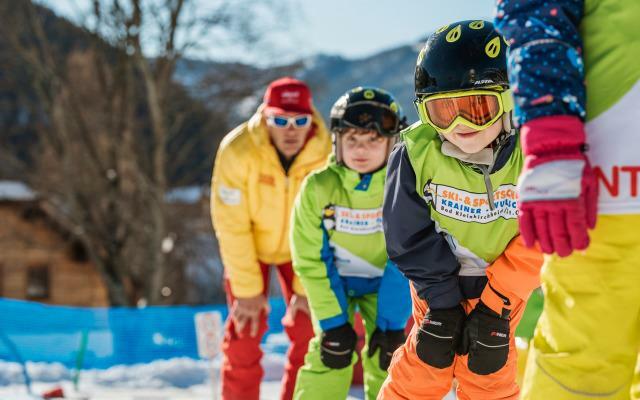 Ski courses, visits to alpine chalets or night tobogganing – family holidays in Carinthia come with countless activities for guests of all ages, both on and off-piste. The Bad Kleinkirchheim / St. Oswald ski region was tested and evaluated last winter by the editorial team of www.alpensicht.com in terms of its wide variety of options. For its facilities and conditions Bad Kleinkirchheim has been awarded "5 stars for family-friendliness". On request, the team at the Hotel Pulverer will be happy to book additional services for you, such as a kids’ ski course. Be sure to add your special requests to your non-binding booking enquiry so that the team members at our family hotel can give you current pricing and conditions for any additional activities that you would like to book. 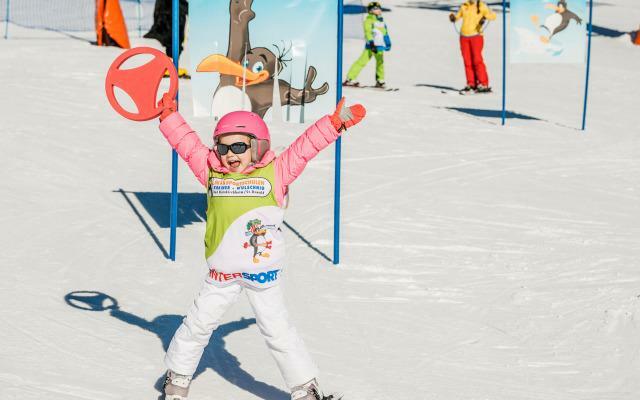 The Hotel Pulverer has put together kids’ ski courses and activity options for all age groups that ensure the perfect family ski holiday in Carinthia.